Depending on what your idea of a healthy lifestyle is, how would you rate your current lifestyle on a scale of 1 to 10? Do you get enough time to exercise, are you eating healthy foods, how are your sleeping patterns, are you a smoker and how often do you drink alcohol? These are just a few things that can help you determine how healthy your present lifestyle is and using these principles can also help you ascertain whether there are perhaps parts of your life that are particularly unhealthy and need a little tweaking. A healthy lifestyle is a term that can be used to refer to a wide range of things and is equally reliant on the context in which it is used. One thing that is clear is that there are certain acquired lifestyle habits, choices and behaviors that make or break a healthy lifestyle. For instance, drinking the recommended amount of water every day, or being determined to eat healthy foods, exercising every day, or even being environmentally responsible, such are examples of fundamental basics of living a healthy lifestyle. Smoking, on the other hand, is an acquired bad habit that is not only detrimental to the smoker, but also to those around them and the environment. It introduces harmful toxins and carcinogens into the body and has a clear and negative effect on a healthy lifestyle. Additionally, while there’s nothing wrong with consuming one or two glasses of alcohol when you need to relax after a long day, it is the effects of overindulgence that can lead to addiction including alcohol-related health and social problems. Adopting a healthy way of living can be hard work not to mention challenging especially if you have picked bad habits along the way that have become deep-ingrained but not all is lost though because it is relatively possible to start living a healthy lifestyle. The idea is to start making small but equitable changes every day such as quitting smoking or ditching the elevator and taking the stairs, parking furthest from your building and then walking. 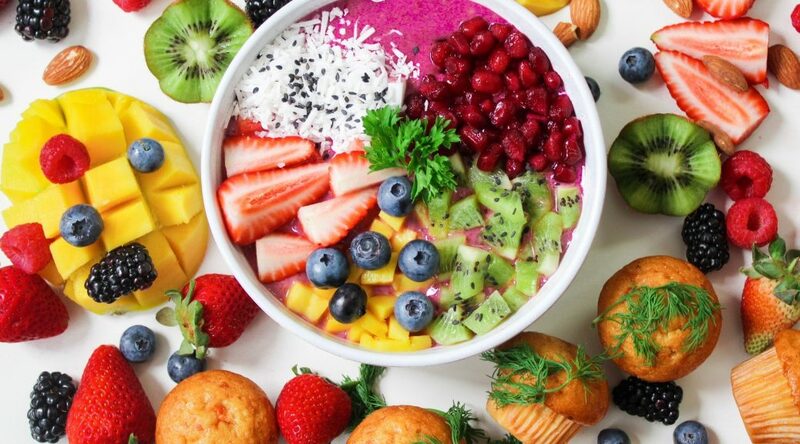 Making healthier choices such as being deliberate about consuming healthy foods when all that surrounds you are, granted mouthwatering, but very unhealthy foods is a step towards living a healthy lifestyle. Changing your mindset toward eating a wholesome diet that’s rich in fruits and veggies has a myriad of health benefits. Not only does it make it easier to keep your weight under control, but also eating a well-balanced diet will keep you feeling happier and more relaxed and most importantly, it keeps various health conditions at bay. Ask yourself, would you rather spend your hard-earned money at the doctor’s office to get treated for acquired yet preventable conditions such obesity, diabetes, blood pressure, heart disease, etc., or would you prefer to never have to deal with these conditions ever? Additionally, health problems such as arthritis, depression, certain types of cancer, as well as metabolic syndrome-related health complications can also be prevented or managed with regular physical activity. A disease like metabolic syndrome increases the probability of developing heart disease, diabetes, and stroke. You are susceptible to this disease if you have certain risk factors such as high blood pressure, high cholesterol, high blood sugar levels, not forgetting excess fat around the waist (visceral fat). All these are risk factors related to obesity and not getting sufficient physical excises can increase your risk for metabolic syndrome. You can see where this is going, right? Acquired unhealthy habits are very easy to pick up and hard work to give up, but it can be done. A healthy diet coupled with carving out time to exercise, especially strength training is key, and it is a good place to start on your journey towards a healthy lifestyle. Strength training is particularly beneficial for individuals who are trying to kick a bad habit such as smoking because, in addition to improving muscular fitness, improving functional performance and keeping you in shape, strength training has been shown to boost energy levels and induce better sleep. Sleep is one thing that most smokers don’t get enough of due to the build-up of toxins and carcinogens in the body. A restful sleep plays an extremely important role in our overall health and well-being, and sleep deprivation can lead to some serious health problems. Studies show that a good night’s sleep is important for a healthy heart and brain function, it maintains our physical health and emotional well-being. Imagine a healthy lifestyle without the detrimental effects of smoking, you are, after all, responsible for your success in the long run. It’s time to start making healthier life choices that not only have positive effects on your life but also on the lives of those who you care about. While some things are mind over matter and can be overcome, there are things that can affect other facets of our lives negatively and are that much harder to kick. The good thing about the life we are living in is that nothing is impossible and with a little help and support some of the things that have weighed you down can seem like a joke after you have overcome them. Therefore, before setting any goals, it’s important to get your loved one on board so that they know that not only do you need their support, but you mean business. Who knows, they might notice some positive changes in you and want to jump on board toward a healthy lifestyle. Its hard work to kick unhealthy eating habits, so start slow and begin to gradually incorporate healthy foods into your diet and having an eating plan including keeping a food journal will help you stay on track. Start also by shopping for fresh foods and making it a daily habit of cooking the foods yourself. It’s prudent to consult a nutritionist and fitness trainer who can help you work out a plan that suits your current needs.